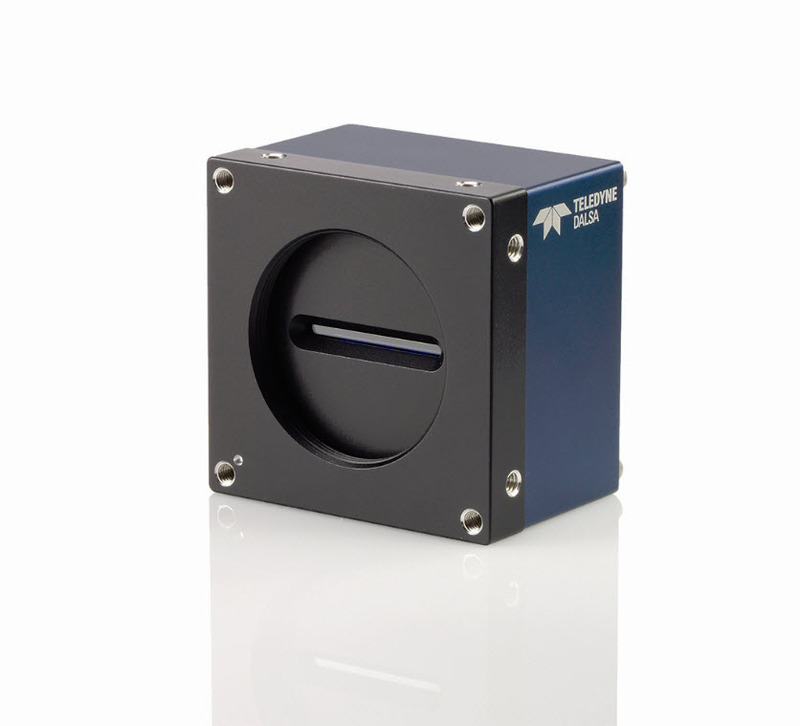 Based on Teledyne DALSA’s unique line scan CMOS sensor architecture, the new Piranha4 line scan cameras deliver the highest line rates in the industry with outstanding signal-to-noise performance. The P4-2k Color has 2k resolution with a 14.08 µm x 14.08 µm pixel size. Need the precision of color AND the sensitivity of monochrome? The Piranha4 Color’s quadlinear CMOS sensor brings the best of both worls by providing three native colors (Red, Green, and Blue) as well as a separate monochrome channel with minimum spatial separation for the maximum in color accuracy and performance at 70 kHz. In addition to its incredible speed, the Piranha4 also offers advanced features including subpixel spatial correction, lens and shading correction, and flat field correction. Independent gain and exposure control for each color allow you to tune spectral responsivity. Sub-pixel spatial correction allows precise color registration in any sampling scenarios. The camera even allows up to four simultaneous areas of interest, which allow you to focus on specific areas of an image and ignore the rest, reducing processing bandwidth and even simplifying cabling. The camera delivers a throughput of 573 MPix/s using Camera Link, and advanced chipsets allow cable lengths of 15 meters and beyond. The GenICam compliant interface makes the camera easier to set up, control, and integrate.